Have you ever been in a relationship and maybe sent a naughty message or two, possibly with a picture? Did you live to regret that message when you broke up with that person? Now we’re not talking about kids or teenagers and sexting here, real adults do this kind of thing, especially those that travel a lot. Maybe you had a really rip roaring night at the club and sent a bunch of photos to your posse, perhaps you wanted them to live the moment with you, but not on Monday morning back at the office. What about this, have you ever had an idea you may have wanted to share with some somewhat trusted colleagues, but just enough so they could grasp the idea, not steal it down the road? If you’ve ever found yourself in one of those scenarios or millions of other similar types of situations than you’d be happy to know that Heather Burns and her Quimby Technologies, a Toronto Startup, has created a self destructing messaging platform. Burns teamed up with Alkarrim (Alex) Nasser of BNotions, to create Quimby Technologies and Quimby the self destructing messenger app. Now Burns is pretty sharp, she is well aware that there are some people who are going to shout out at the rooftops why this is a bad idea. The same kind of people that can’t get over the fact that Craigslist or Zaarly exist, and in our exclusive interview we asked her about just those types. While this is Burns official startup she’s also a consultant on another project called mailatale.ca. You may think it’s ironic that someone who has created the self destructing messaging app is also involved with a children’s monthly subscription book box, but she is and she makes a great case for Quimby. We got a chance to catch up with Burns over the weekend. 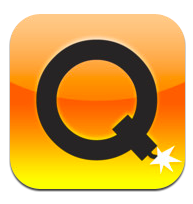 How did you come up with the idea behind quimbey messenger? Who is your target? Business people with sensitive data or sexters who dont want to get caught? Is there a hard copy of the message saved on your servers? Whats the best part about doing a startup in Toronto? A couple things you need to know about Quimby, it’s a platform by itself. That means that in order to use the Quimby features you need to be writing to someone with a Quimby account. It’s not like an anonymous remailer where you can email anyone and have the messages self destruct from a general delivery box. Burns is serious about privacy. You can make up your own username and your real name is never tied with your username so if you want to be incognito you absolutely can be. So while we were vetting this story in the office Cameron Wright our managing editor and I had some heated discussions about the app itself. Cameron was concerned about what would happen if say an estranged ex-husband used the Quimby app to threaten the estranged ex-wife. Well, to that we have to ask what happens if the ex-husband calls and threatens the ex-wife. Under normal conditions theres no recording of that conversation. I have a lot of friends out there that are message hoarders. They hold onto everything as “evidence” later. I know this so sometimes if I have something funny I hold it back from them. Now with Quimby I won’t have to as long as they are Quimby members as well. While Burns even hinted to the fact that sure some may use Quimby for immoral or unethical reasons, they do the same thing for just about everything on the internet. People use FourSquare to stalk, Facebook to stalk, Craigslist and Zaarly to hook up etc. There are enough good people out there that would really benefit from something like Quimby.